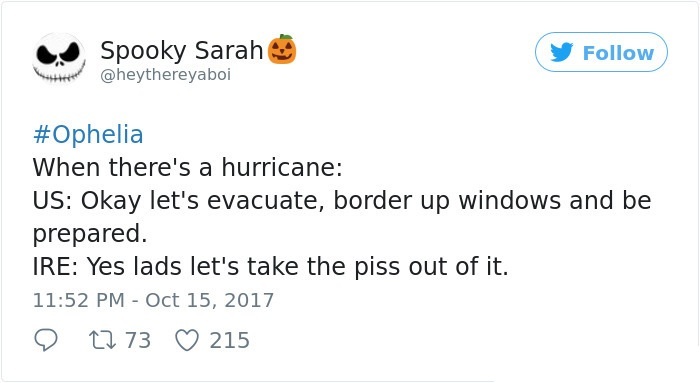 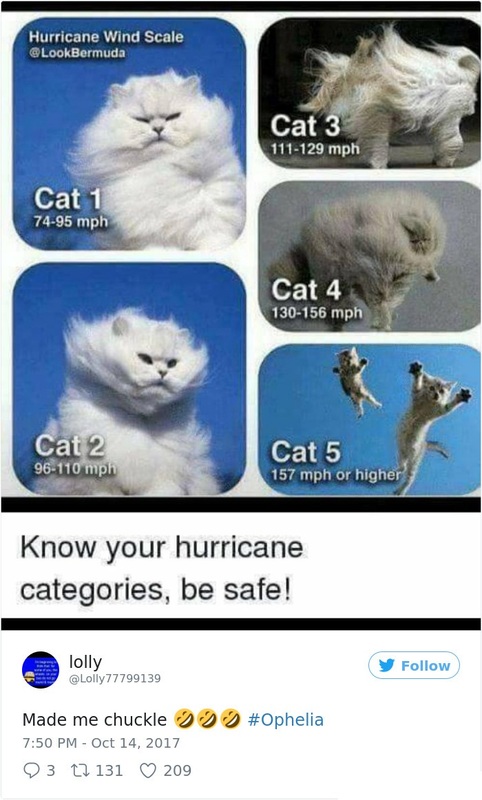 Had enough hurricanes yet this year? 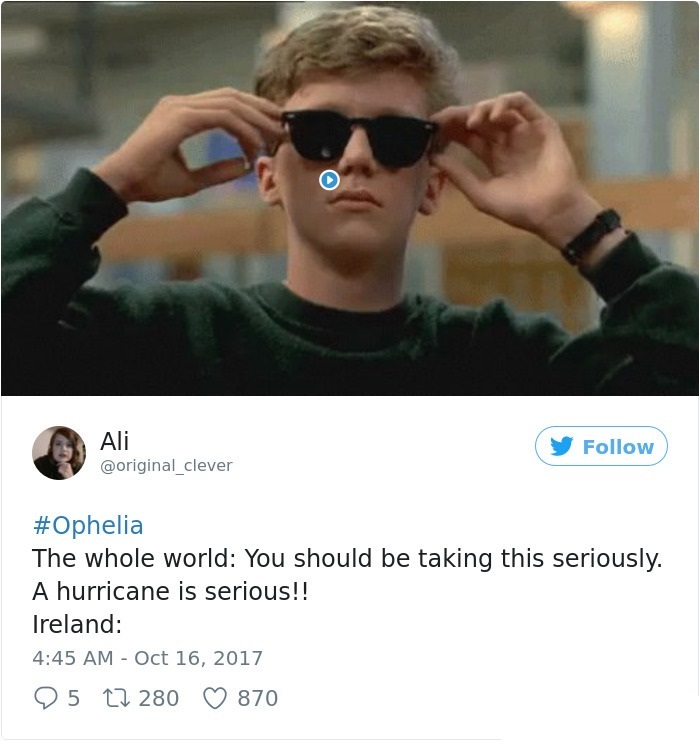 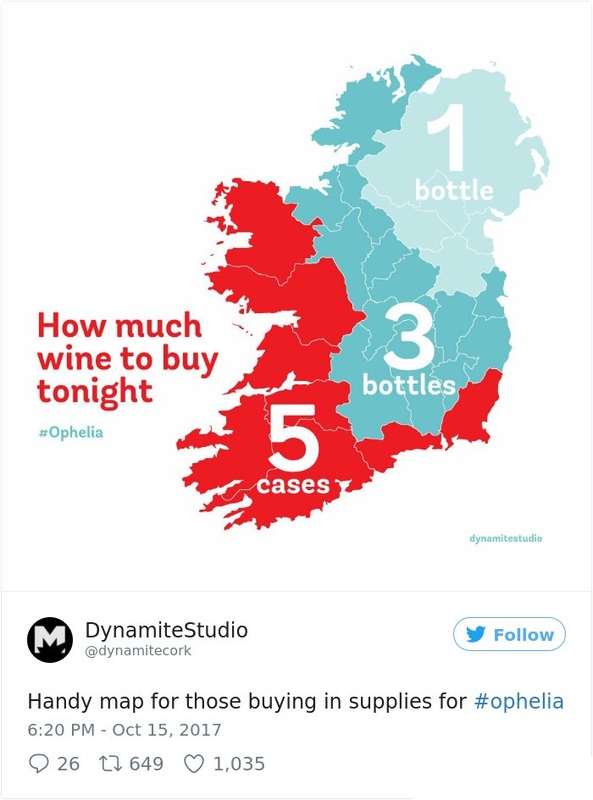 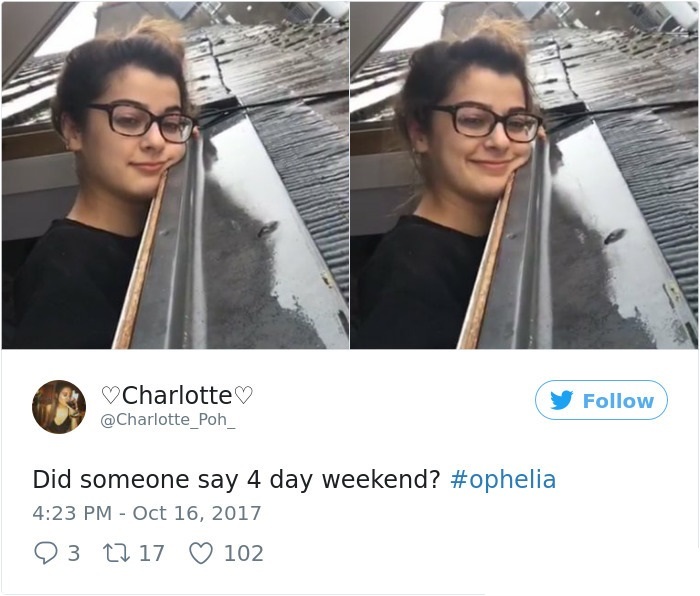 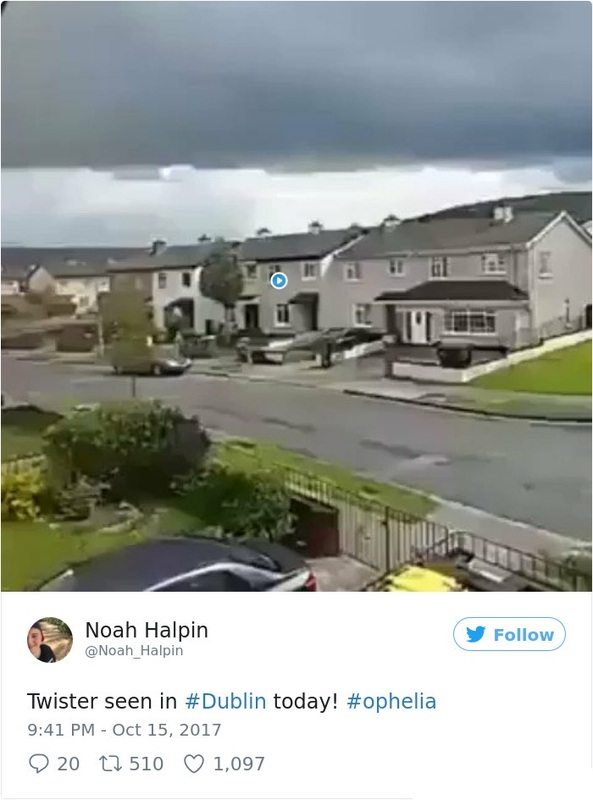 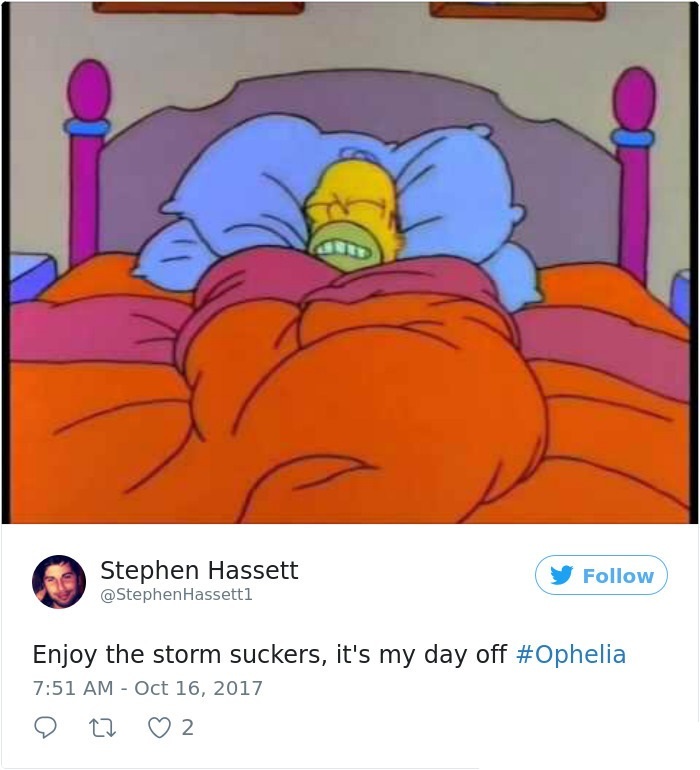 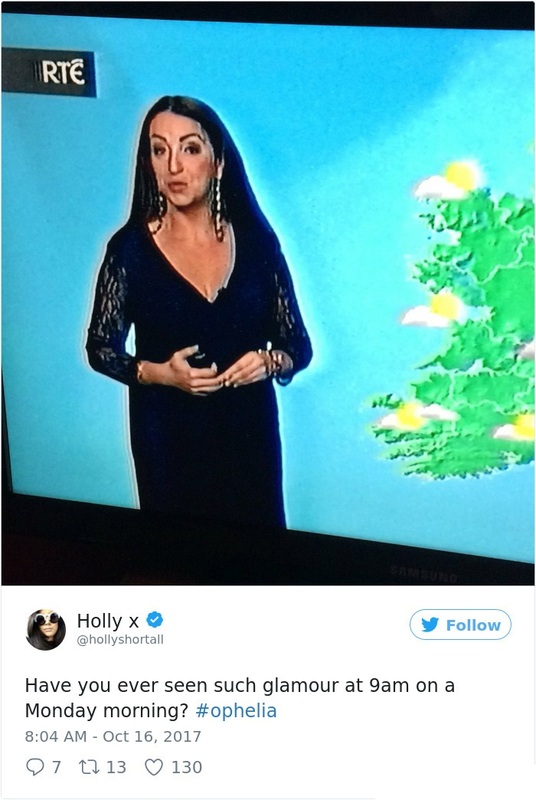 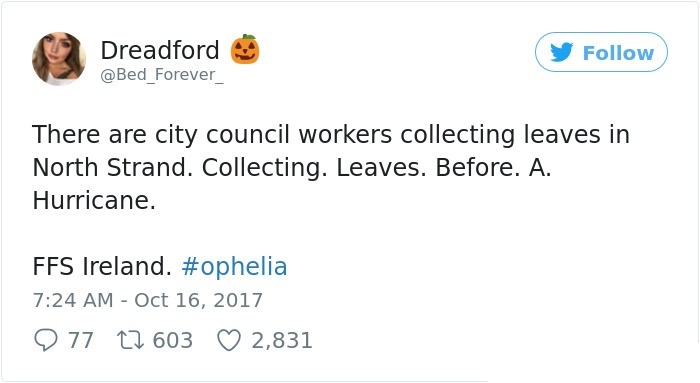 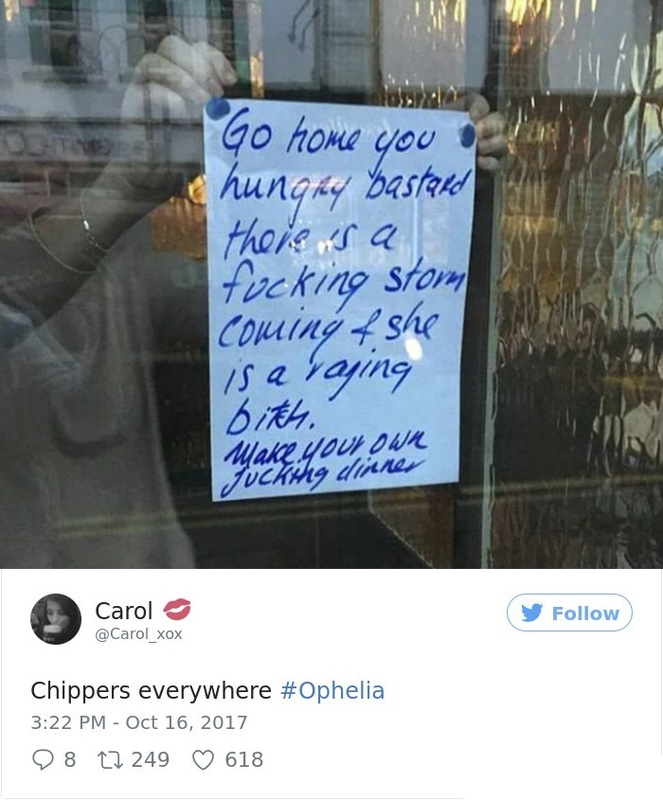 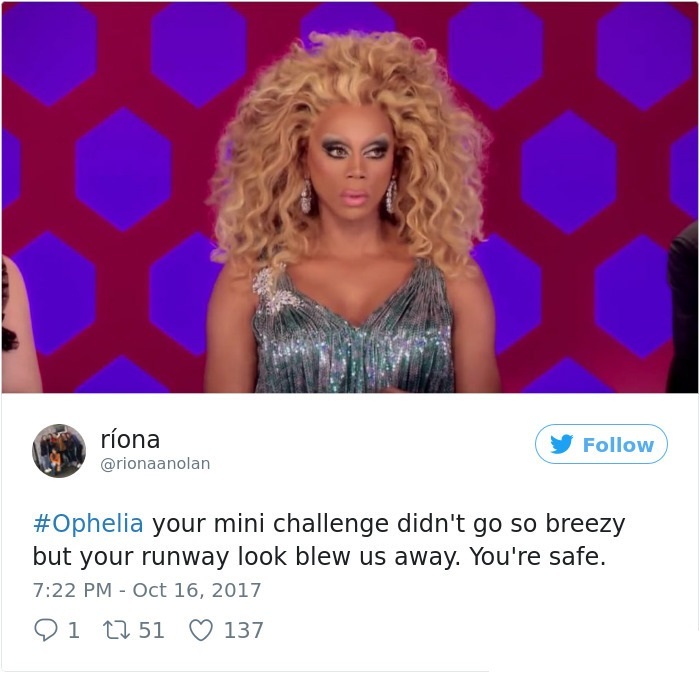 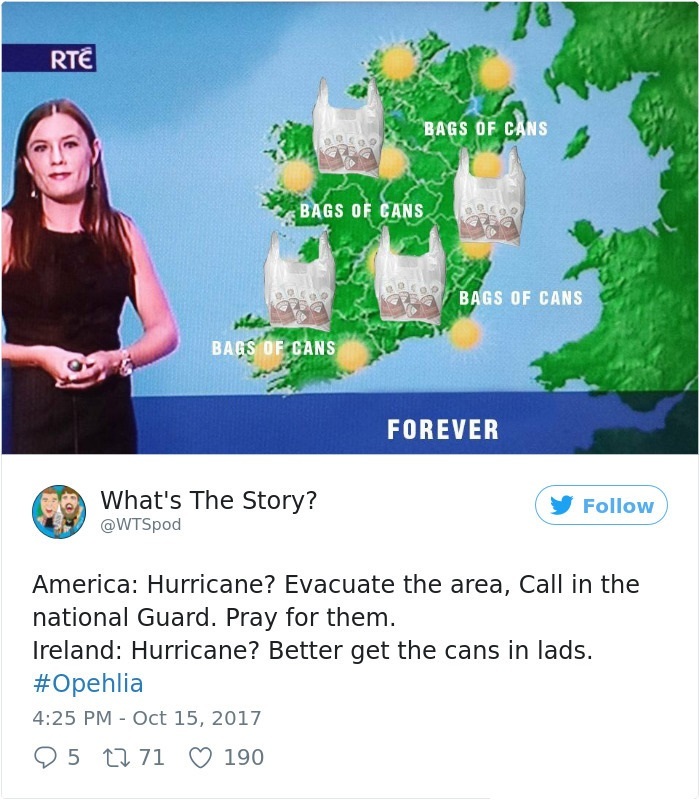 Too bad, because Hurricane Ophelia has arrived, and she's giving Ireland the old one-two. 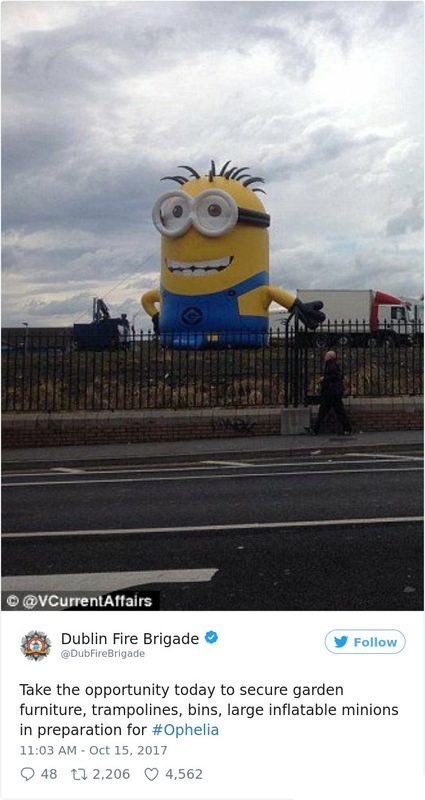 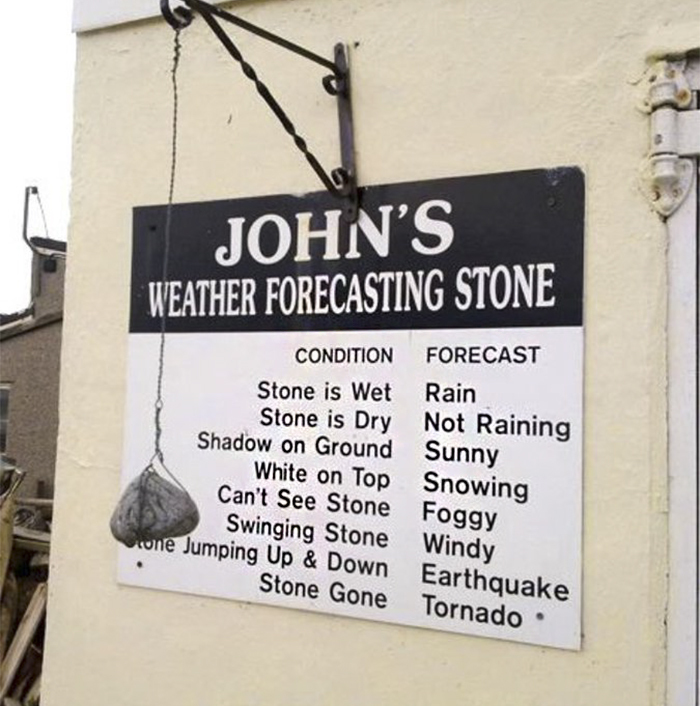 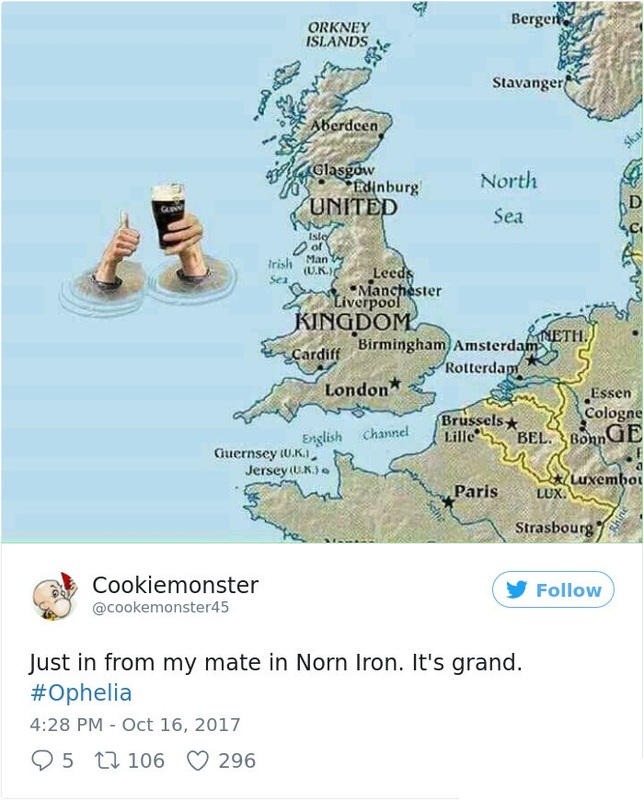 Luckily, the Irish are a resilient folk, and their Twitter reactions to this fearsome storm make it crystal clear. 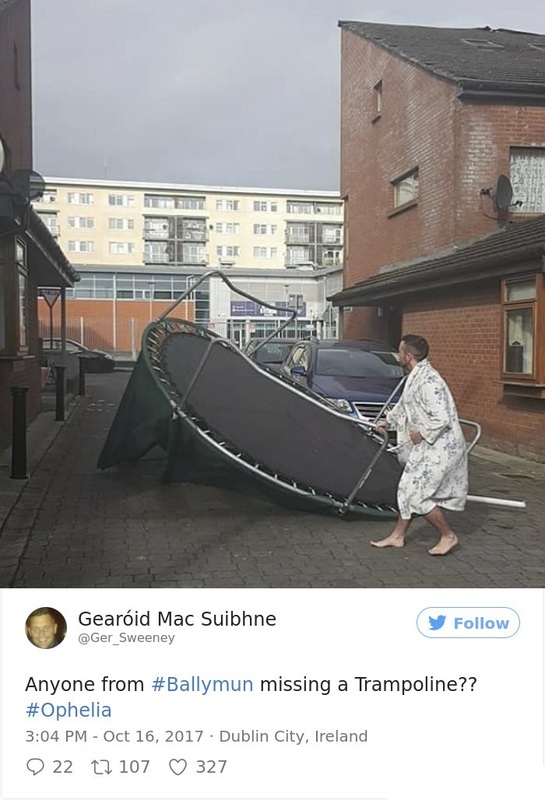 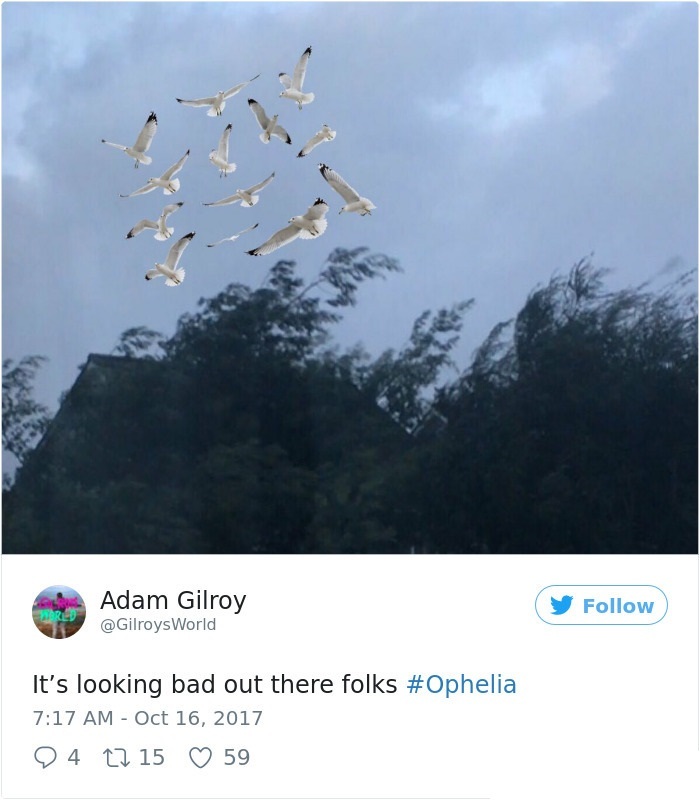 As they say in Ireland, here's the craic; whipping winds are wreaking havoc on the island nation, and have left 3 people dead so far and thousands without power. 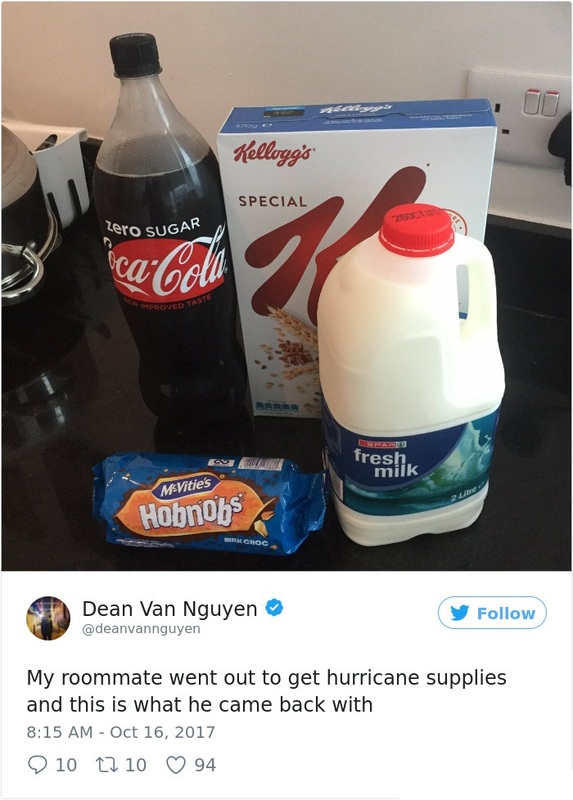 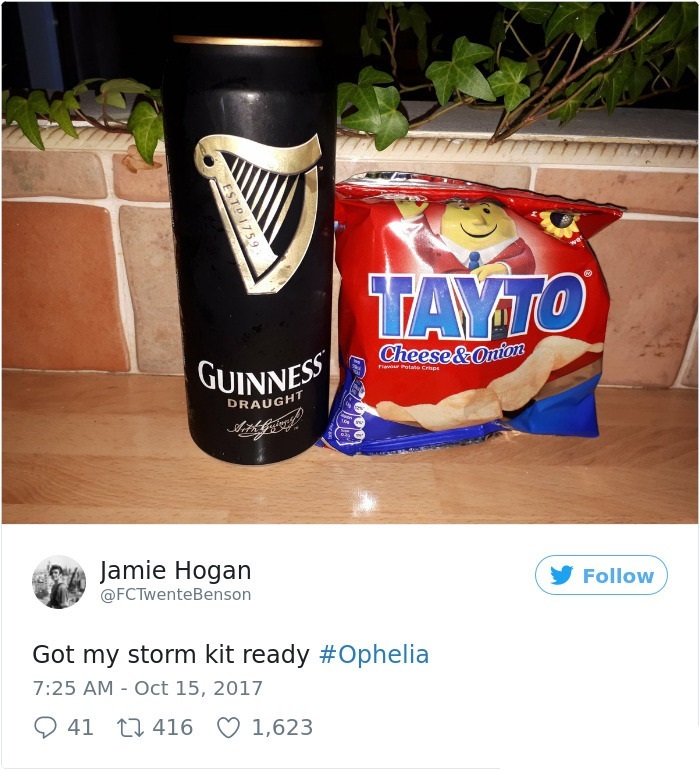 The whole country is on lockdown, with schools closed, buses cancelled, and even several grocery stores with valuable storm preparation goods (chips, beer, etc.) 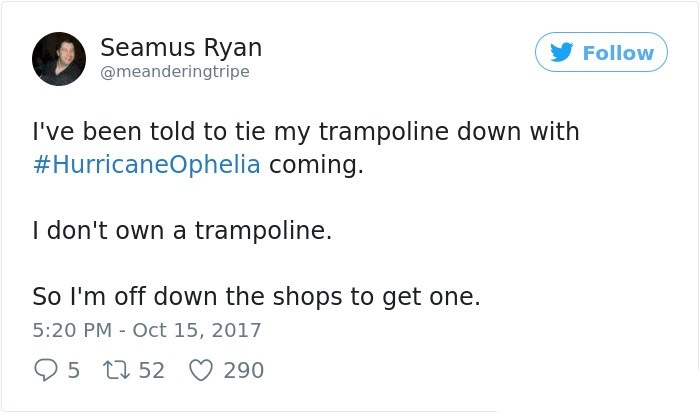 shuttered in anticipation of what one Twitter has deemed 'The Great Irish Trampoline Migration of 2017.' 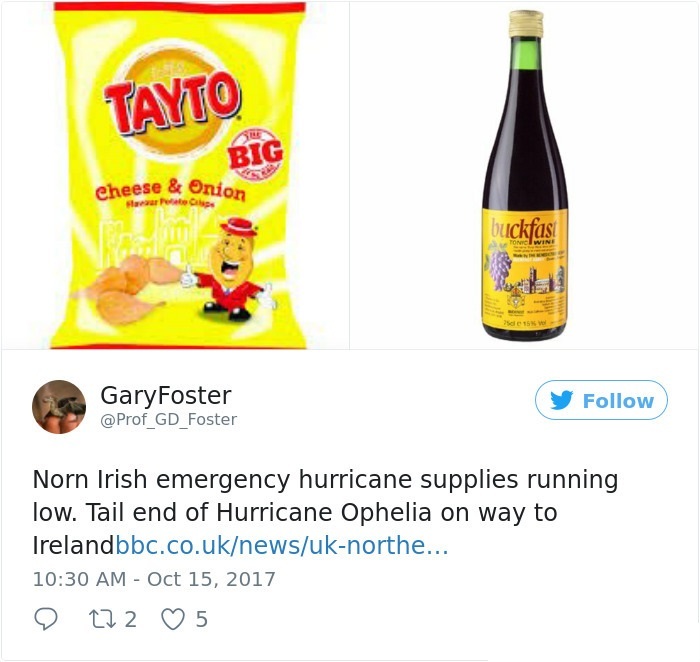 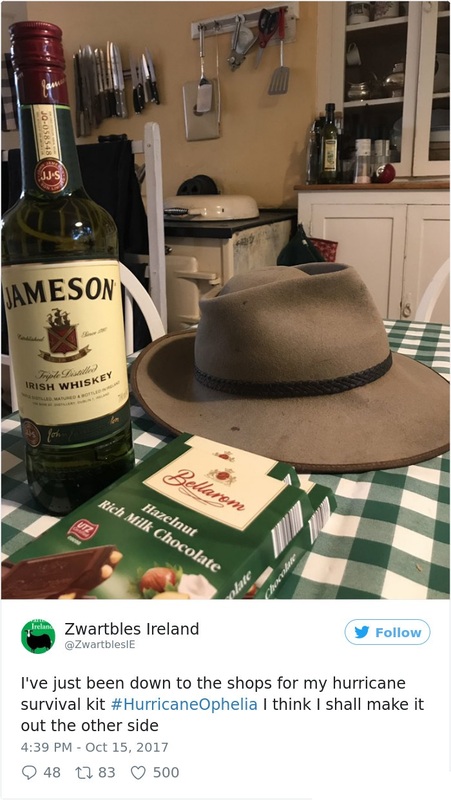 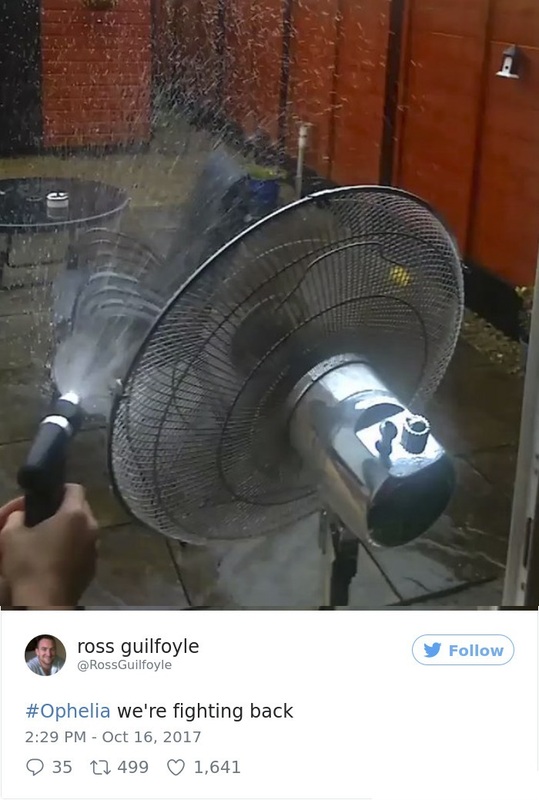 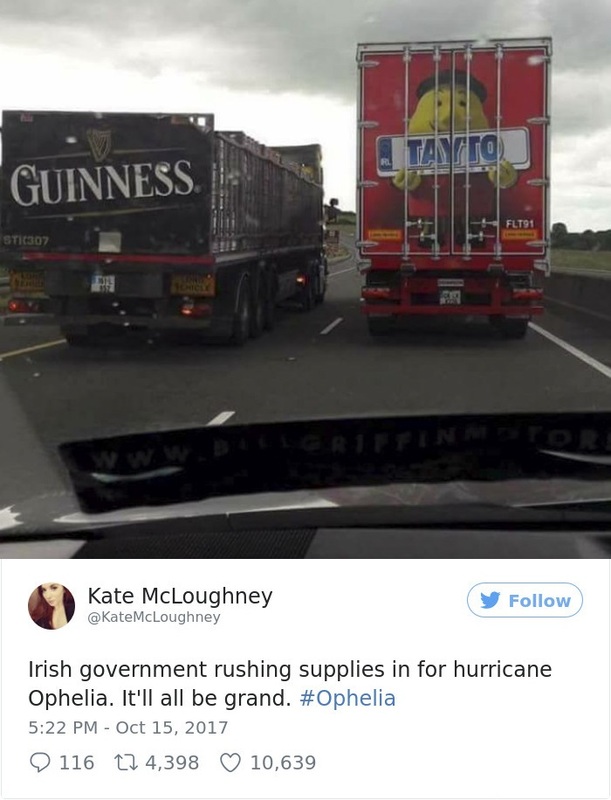 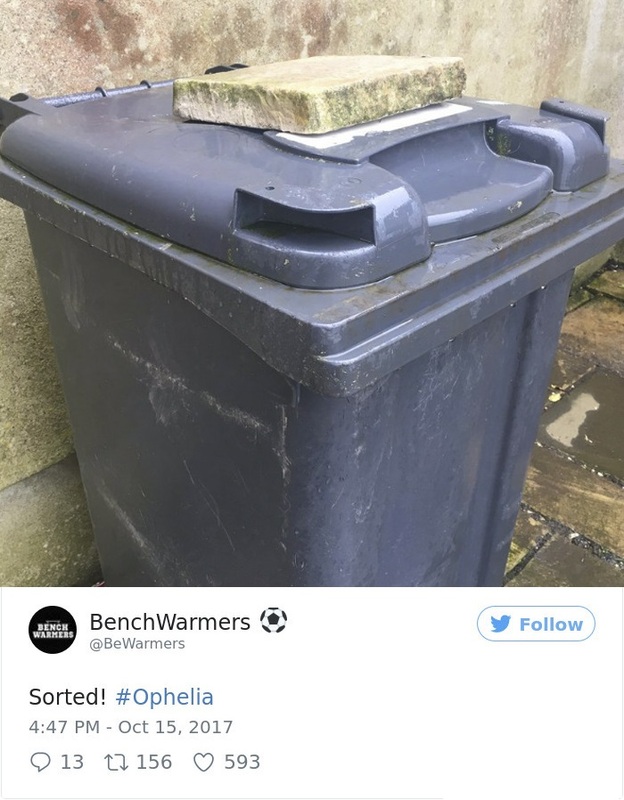 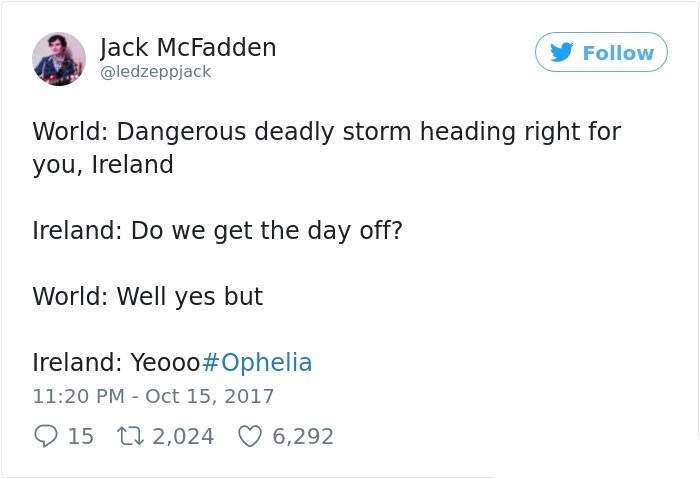 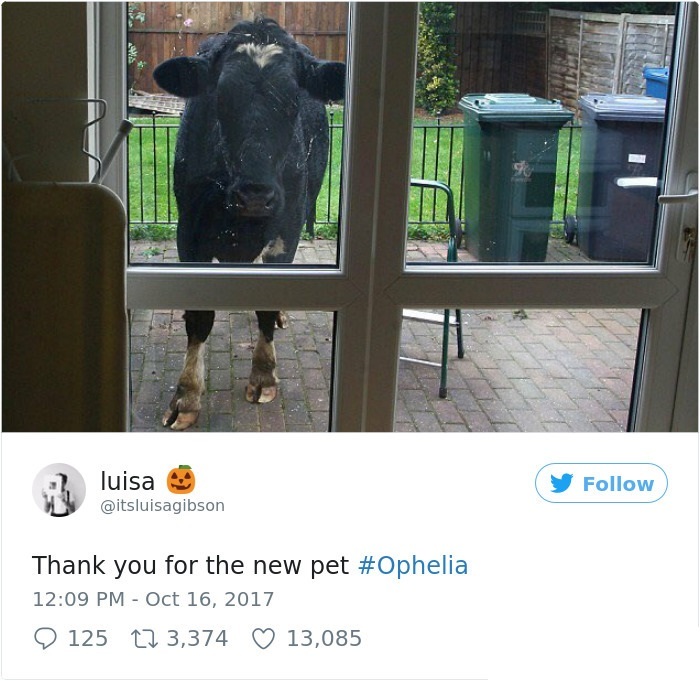 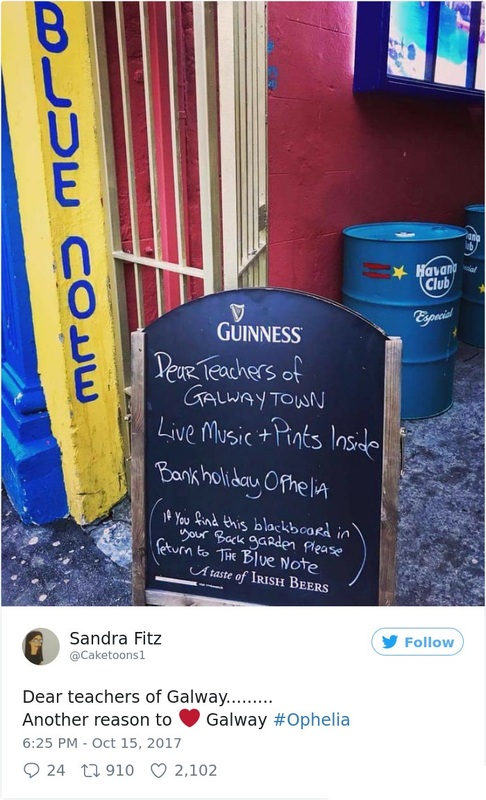 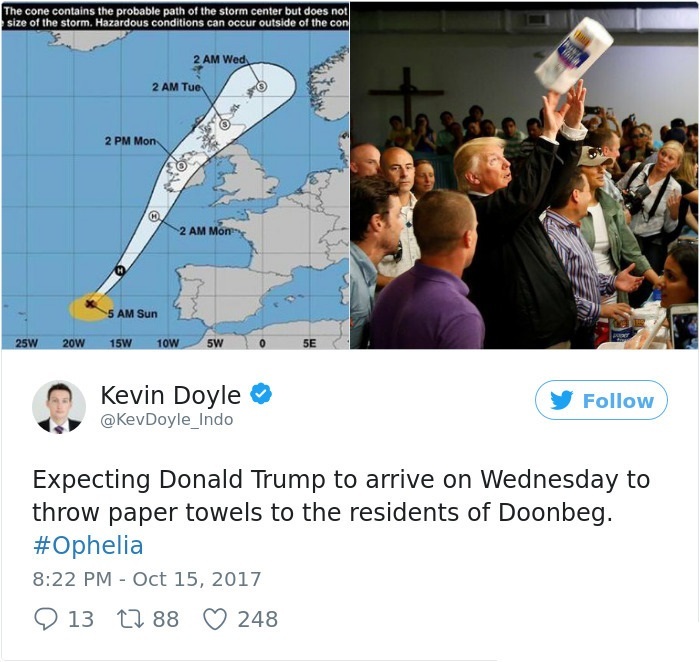 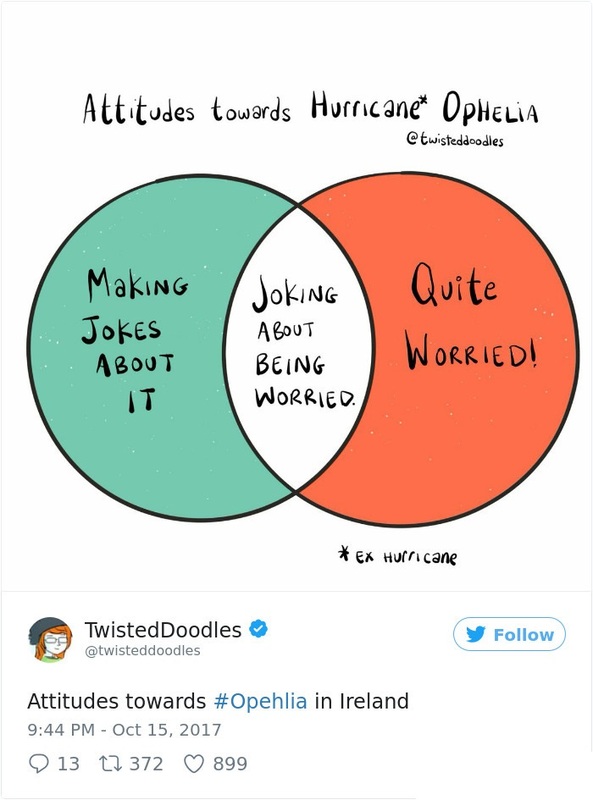 However, even a natural disaster like Ophelia isn't strong enough to damage the Irish spirit - and, evidently, their collective sense of humor. 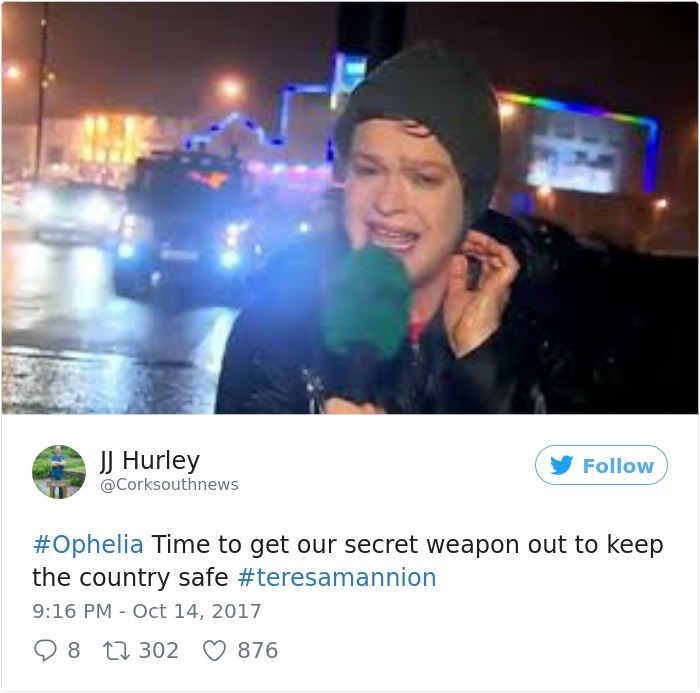 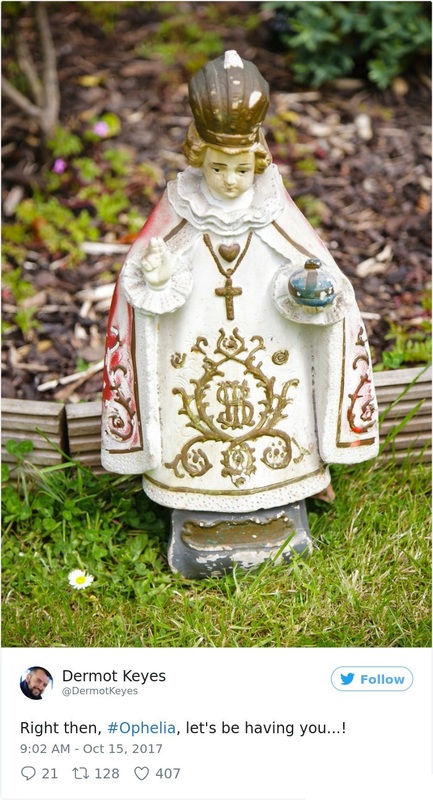 Scroll down to see the best tweets to come from both the storm's build-up and commencement, and as always, stay safe and heed all advice from authorities if in the area.